Ladies, this weekend's lover is none other than Tyrese. What is there not to love about this man? He has a soulfully sensual voice that will lure you to ecstasy in seconds. In fact, he is an award-winning vocalist and actor. He has recently added "author" to his collection of hats with his book How To Get Out Of Your Own Way. Not to mention, he has the physique of a greek god, sculpted to perfection. Whew, I love that man! Though many know him from critically-acclaimed roles such as "Jody" from Baby Boy, "Roman" from the Fast and Furious franchise, or "O2" from Waist Deep, he will most significantly be known in my heart as one of my favorite R&B crooners. These are the songs that made me fall in love with Tyrese over and over again. 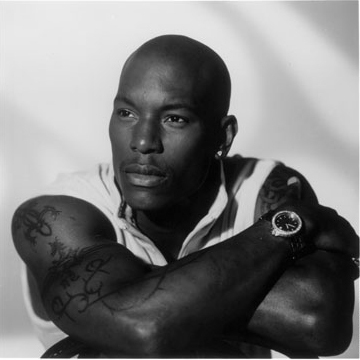 Are you a fan of Tyrese and his music? If so, what are your favorite songs?